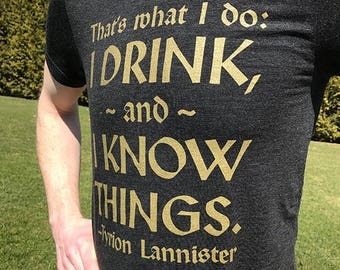 The words + sigil of house Lannister of Casterly Rock. 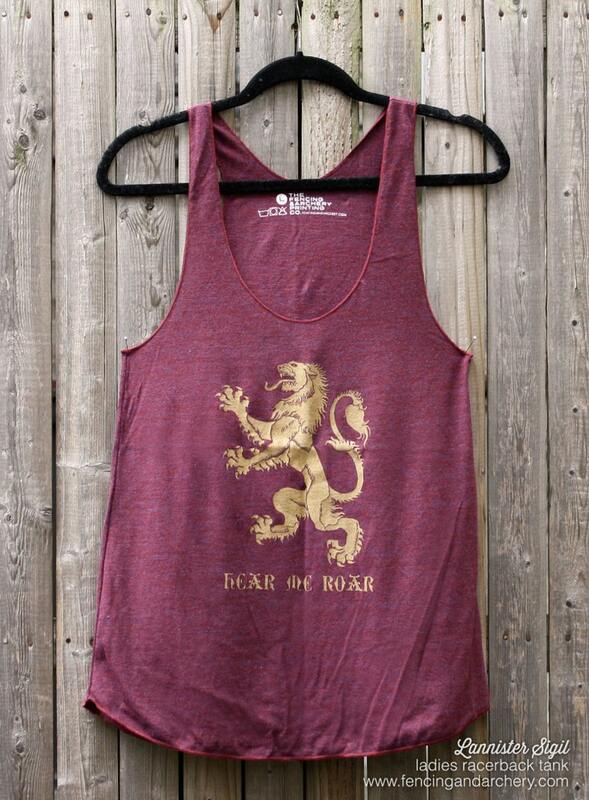 • Tank is hand printed on heather cranberry with gold ink. • Chest measurements (inches): XS 30" S 32" M 34" L 37" XL 40"
I bought one of these a few years back, and just purchased another for a friend. High quality material, great design. It is understated, a better kind of fandom top. I love mine and my friend loves hers!